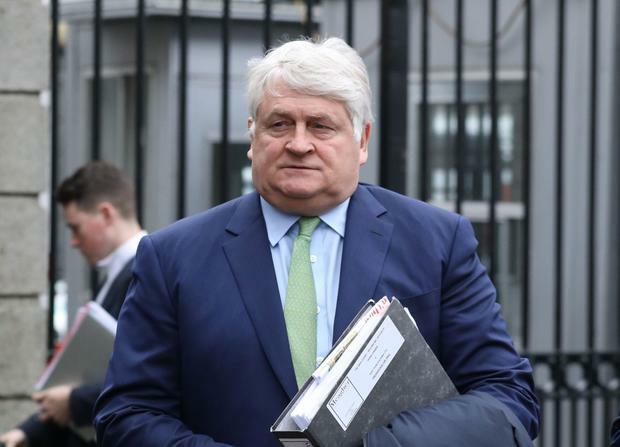 Denis O'Brien has said he is not "self-obsessed" in believing he was "lumped in" with 22 borrowers allegedly blamed for the 2008 financial crisis. The businessman was speaking during cross-examination in his High Court action alleging defamation by the Sunday Business Post on March 15, 2015. He said he was "maliciously" put into a category of borrowers, and defamed because the articles wrongly implied he was "a member of a select group responsible for the property bubble in Ireland". He said he had made some property investments, but was not a developer and disagreed it was not defamatory to describe someone as a developer in 2015. If you interacted with the public between 2008 and 2015 and said you were a developer, you "would get dog's abuse", he told counsel. "I am not a property developer king and I didn't bust the country." Mr O'Brien is suing Post Publications for substantial damages over the alleged defamation. The focus of the articles - run over six pages - was what the newspaper referred to as a "secret" report compiled by Price WaterhouseCoopers (PWC) on the exposure in 2008 of Ireland's banks. The report - which was provided to the Government in November 2008 - was obtained in 2015 by the newspaper, but destroyed shortly after publication to protect the source who provided it. The articles include a front page article headlined "22 men and €26 billion" with a subheading that read, "The secret report that convinced Cowen the banks weren't bust". Mr O'Brien claims the articles wrongly implied he was among 22 borrowers identified with the downfall of Ireland and the bankruptcy of its banking system, and that this injured his reputation. Michael McDowell SC said yesterday that the Sunday Business Post denied the word "they" in a strapline - "The files they didn't want you to see" - included Mr O'Brien. Remarking Mr O'Brien had probably heard of the Carly Simon song, You're So Vain, counsel put it to him that the articles did not mean Mr O'Brien, or others, were being blamed for the 2008 financial crisis. Mr O'Brien reiterated his view the articles, including one headlined "The Gang of 22", meant he was part of a "gang" of 22 responsible for the 2008 crisis. He said he did not know how counsel could say otherwise or suggest he was "self-obsessed" or like the person referred to in the Carly Simon song You're So Vain. He denied his interpretation of "gang" as referring to people engaged in wrongdoing or criminality was "excessive".